Learning Nights - Every other week, youth explore a lesson with their peers (and leaders). This year, the 5th-6th grade group and 7th-8th grade Confirmation group will both be learning about the stories of Jesus in the New Testament. The high schoolers are diving into how our faith speaks to current events. Fellowship Nights - Once a month or so we have fun events for all 5th-12th graders to get to know each other better, build community, and just have fun. Events have included life-size board games, Halloween & Christmas parties, movie nights, broomball, and more! Service Nights - About once a month we have a service project for the whole group together. These are great for kids to grow closer and serve the broader community at the same time. Projects have included sorting donations at VEAP, leading bingo at Martin Luther Campus, food packing with Many Hands Many Meals, and picking up litter at Christian Park. We invite you to come see what Wednesday nights are all about! If you have questions or want to see a full calendar of what we have planned, just email Ben at bwhalen@hoplc.org and he'd be happy to help you out! We also have opportunities for older youth to go on trips & retreats together. Some of the past options are listed below. For more information about upcoming overnight events, please contact Ben at 612-500-9523 or bwhalen@hoplc.org. Confirmation Retreat each fall at Luther Park Bible Camp in Danbury, WI. Lock-in each year at church with the Gustavus Youth Outreach Team, a group of college students who lead us in games, Bible study, and worship. Family Mission Trips open to ALL ages to serve together! In 2017 we went to Madison and in 2018 to the Duluth/Superior area. 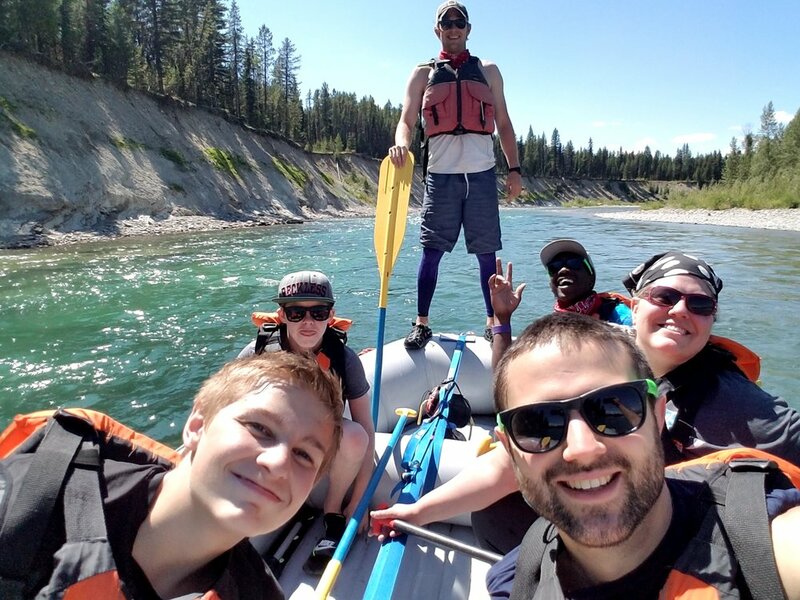 Week-long trips for high schoolers - In 2017 we took a high-adventure trip to Flathead Lutheran Bible Camp in Montana to go rafting on the edge of Glacier National Park. In 2018 we went to the ELCA National Youth Gathering in Houston, TX. We also encourage youth to attend summer camp at Luther Park in Danbury, WI. They offer week-long camps, half-week options for young kids, family camp, grandparent & kid camps, and much more! Check out www.lutherpark.com to learn more. To help make camp possible, we will gladly contribute half of the cost for any child to attend camp (further scholarship money is available if needed).